A senior Israeli official revealed on Saturday that Syria has attempted two weeks ago to launch a cyber attack against Haifa's water system, in retaliation to the alleged Israeli attack in Damascus a month ago. Yitzhak Ben-Yisrael, chairman of the National Council for Research and Development, said that Israeli critical infrastructures such as electricity, water and the stock exchange undergo hundreds of cyber attacks every minute. "The number of cyber attacks is huge," he said in an open event in Beersheba. "We're talking about an attack every moment. "We have to constantly think about the upcoming threats. There's the 'Syrian Electronic Army' which acts against Israel and we're not sure who's behind it. "They attacked two weeks ago the Haifa water system because they apparently spotted an opportunity, which failed." Haifa Mayor Yona Yahav said in response: "We are not aware of any such attempt by Syria, but we do know that Haifa, as the north's symbol, is a strategic target for our enemies and therefore we keep training and preparing for emergencies. "Haifa was and stays strong," he added. About two weeks ago, a group of hackers called "The Syrian Electronic Army" claimed it has attacked Haifa's main infrastructure system and disrupted several local servers. The group further claimed it has broken into a system called SCADA and gained access to sensitive information. In a statement posted online members of the group declared they are now able to cause irrepairable damage to Israeli infrastructures. According to them, the attack occurred on May 6, and was a retaliation to the alleged Israeli attack in Syria. It should be noted that in January the group also claimed to have broken 50 Israeli websites, but it was later discovered that most of these were of resorts in northern Israel. 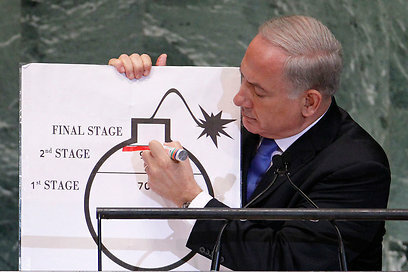 Referring to the Iranian nuclear threat, Ben-Yisrael warned that contrary to Prime Minister Benjamin Netanyahu's famous UN illustration, there is no "red line" as far as Iranian nuclear weapons are concerned. "The Iranians build their own centrifuges. This means that if you annihilate the facility, it will be very unfortunate for them, but in two-three years they'll rebuild it. "Now you ask yourself if these two-three years are worth it," he said. Ben-Yisrael stressed that there is no fail-safe point. "Iran currently has the ability to enrich weapon-grade Uranium," he said. According to him, the Iranians have not yet reached their target since "the whole world is sitting on their neck and they are for some reason convinced that if they push the button and go ahead with full enrichment, then the Americans and Israelis will bomb the facilities. "They don't do it and as long as they don't, it could go on like this for another 100 years," he said. Ben-Yisrael added that it is possible that the virus which infected the Iranian nuclear facilities stopped an Israeli bombing. "No one is promising that this will be the last virus," he said and added that the Iranian leader must be very careful if he wishes to attain fully enriched Uranium. "He's been in the same spot for the last two-three years and he's not moving forward. The facilities are supervised by the UN and he needs to do one of two things – either ignore them or expel them and these form a sort of a red line." He said that Israel will not be able to conduct a prolonged war with Iran and that he is certain of the Americans' capabilities. "With regards to technology – the Americans can do things we can't," Ben-Yisrael said. "I'm talking about air-bombing. They have larger air forces around Iran, so they can better handle a prolonged war." 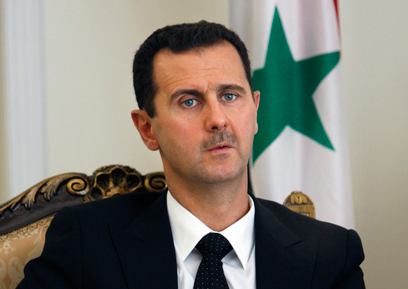 See all talkbacks "Report: Syria cyber attacked Haifa's water system"